An injury that workers’ compensation lawyers often see in workers’ compensation cases is a herniated disk. Below is the basic information of what this injury is, how it occurs, the symptoms associated with the injury, and the best ways to treat the injury. A herniated disk is a different injury than a bulging disk. A herniated disk is an injury to your spine. Although it is commonly called a “slipped disk.” The disks do not slip, they are firmly in place. The spine’s outer ring gets a tear in it, and the inner ring, which is softer and weaker, bulges out past the outer ring. It is a fairly common injury to see in workers’ compensation cases. Two “types” (actually locations) of herniated disks are cervical and lumbar. The most common reason for a herniated disk is that the fibrous outer ring starts to weaken as a person gets older. When the outer ring is weak, a small amount of strain or trauma can cause a herniated disk. A high amount of strain or trauma can cause even a strong ring to tear, leading to a herniated disk. Lifting heavy objects or lifting objects improperly can cause unusual pressure on the disk which causes the outer layer to tear. Often a herniation stems from a disk protrusion, in which the outer layer is weakened, but still functioning. The protrusion is when pressure come from the inside and presses on the outer layer causing the outer layer to bulge. The symptoms are very dependent on the location and severity of the herniation. Pain is common, but is not present in every case. If pain is present, it will often be intense around the area where the actual herniated disk occurred. It can also be felt through a person’s internal organs, and in some cases in the limbs and extremities. A herniated disk will usually heal within several weeks to a few months naturally if it is not put under more strain. However, staying in bed for days at a time will make the surrounding muscles weak which can make the problem worse. Walking and light activity are recommended. A heating pad (20 minutes every 2 or 3 hours), hot showers, heat patches, and ice packs can help. A doctor can tell you best what to do to help heal faster. Do You Need an Attorney for a Herniated Disk Injury? If the herniated disk was caused at work or due to your work duties you should speak to an attorney. These injuries are serious and will likely cause you to miss work for several weeks or months depending on how severe the injury is and how quickly you heal. Many people who have a herniated disk may not realize that it was caused at work or from what they do at work. We can help you determine if your herniated disk is a work related injury or not, free of charge. Many companies tell their employees that injuries such as herniated disks cannot be filed as work injuries. Even if your company is one that tells you to file a workers’ compensation claim, the claim is then in the hands of their insurance company, who is not your friend. They will do whatever they can to deny your claim or handle it as cheaply as they can. 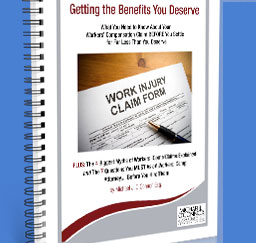 You should speak to an experienced workers’ compensation lawyer about your injury. Our firm will do a free case review to let you know if you need to hire an attorney or not. There is no cost to you to see if we can help you with your case.